Happy September!! This summer was exceptionally hot and humid here in CT (as this coming week will be too). Can’t say I like that kind of weather – Fall is definitely my favorite along with Spring – nice to be outside when you can breathe and enjoy nature! This week’s Sunday Sampler consists of some subtle wallpaper textures. These are wallpaper from a place we had breakfast while on Cape Cod last year. I must confess – they were taken in the ladies room!!! Your cellphone is your friend when you need a camera! I liked the way these looked like coffee stains – very subtle! Enjoy! Click HERE to go to our website for all the details! From Line25.com – 20 Free Texture Tutorials! I see some cool ideas I have to try myself! Create some of your own textures, see how to utilize them in your work…lots of good stuff! And from MediaLoot.com – 19 Free Brick Textures. One can never have too many textures!! And from JixiPix – a free app for iPhone users -Panographic Photo – quite cool! Check it out HERE! Inky Deals has some great specials for the holiday weekend. Click HERE to visit the site, then use the code LABOR30 to save 30% on all deals! (Affiliate) Also check out the Freebies! If you’ve every thought about printing your photos on canvas, I highly recommend “Canvas on Demand”. I’ve used them for MANY canvas printings – their quality is fabulous, turn-time is quick, and the one time I had a problem (was mounted crooked), they reshipped immediately and I didn’t have to return the old one. I’m not an affiliate – I just love their products! They OFTEN have sales – I got an email this morning for 85% off Premium Gallery Wraps – CLICK HERE to check it out! Most of mine are the 16×20 size, but the prices are great on all sizes with the sale. Happy Father’s Day to all of the Dads, Step-Dads, and Father-in-Laws – those still with us and those we have lost. This week’s Sunday Sampler consists of brick and stone from last year’s trip that included Baltimore Harbor. The water taxis are a great way to get around the harbor! My 10th Topaz webinar is THIS TUESDAY, June 19th at 5:00 Eastern time! Join me as I demonstrate how I use Topaz Studio and plug-ins in my workflow. Everything from a simple vignette, to a more complicated “out of bounds” effect! Sign up HERE! Even if you can’t watch live, sign up and you’ll get a link to the recording. And more big new from Topaz Labs – a new Pro Adjustment to add to Studio — AI Clear! 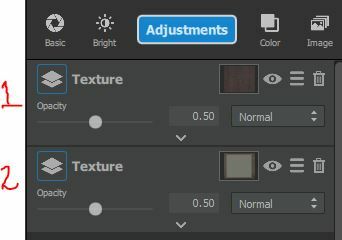 This fabulous adjustment Removes Noise; Sharpens Subjects; Reduces Artifacts; and Enhances Details. I’ve been testing it and it’s pretty cool! It lets you make all of these adjustments in one place – quick and easy and a great job! This will be released on Tuesday, June 19th, and will be available at the sale price of $59.99 until June 30th. CLICK HERE to check out the amazing Pro Adjustment! Learn how to create “Creative Spotlights with Radial Gradients” in this article by Blake Rudis on iso1200.com. And find “80+ Best Photo Manipulation Tutorials in Photoshop”over on Pixel2PixelDesign.com. AND…stay tuned next week for details on some other cool software I’ve been playing with — I will be doing a webinar for them on July 26th! A great way to create composites, special effects and more — quick and easy! Happy Sunday! Finally had a non-rainy Saturday and actually went out to photograph! My hubby, Dave, loves trains, cars – anything transportation related (I do too) and yesterday those were combined at “Steel & Wheels” in Danbury, CT at the Danbury Railway Museum, where they had a classic car show! Growing up my Dad like auto racing, and we used to spend many Saturday nights at the old Danbury Racearena – there was one of the old racecars there too – brought back lots of memories. Taken on iPhone 8+. Edited in Snapseed and DistressedFX. This week’s Sunday Sampler is a variety of textures from different places. The striped rust is from a train car yesterday – the Gray Brick is from Baltimore and the Waves is part of a statue! Enjoy! I’m always on the lookout for cool things to share – freebies, tutorials, etc. Here’s a couple of good ones!! From FreeWebTutorials, “101 Best Photoshop Tutorials for Beginner to Advanced”. There are some very creative tutorials for compositing and much more – check ’em out! Last call to take our Survey! We’re looking at heading to Chicago in early Oct. 2019. Where else would you like to see us visit? While we can’t be everywhere, we are definitely going to be moving around the U.S. Suggestions welcomed! Happy Sunday! We’re back from our jaunt to the Great Smoky Mountains National Park in Tennessee! Such beautiful country. Spent some time looking for property while we were there. Haven’t found “the one” yet, but we’ll keep looking! Since I didn’t do a “Sunday Sampler” of textures last week, this week’s Sampler has six textures for you – of course, from our TN trip! In addition to beautiful scenery, we were graced with the presence of several bears and their cubs – such beautiful creatures. KJ DeWaal, one of our Creative Photography Conference speakers, has a new online workshop available, “Artistically Digital”! Artistically Digital is a digital art workshop presented by artist/photographer KJ DeWaal. If you have always wanted to learn how to create digital art, but didn’t know where to start, then this is the course for you. This workshop is jam-packed with 3 complete projects, 1 bonus project, and a unique creativity challenge that includes a 100 piece collection of downloadable digital resources. There are 42 lessons, 30+ fully downloadable videos, project recipe pdf’s, project files, demo videos for all 12 apps used, lifetime access, and a private Facebook group. Learn the skills necessary to take your creativity to the next level. Learn to take the ordinary to the extraordinary. Leave the fear behind and begin your digital art journey today! Enroll today to take advantage of the Early Bird pricing special. Use coupon code: digitalart60 to receive a $60 discount off of the regular price. 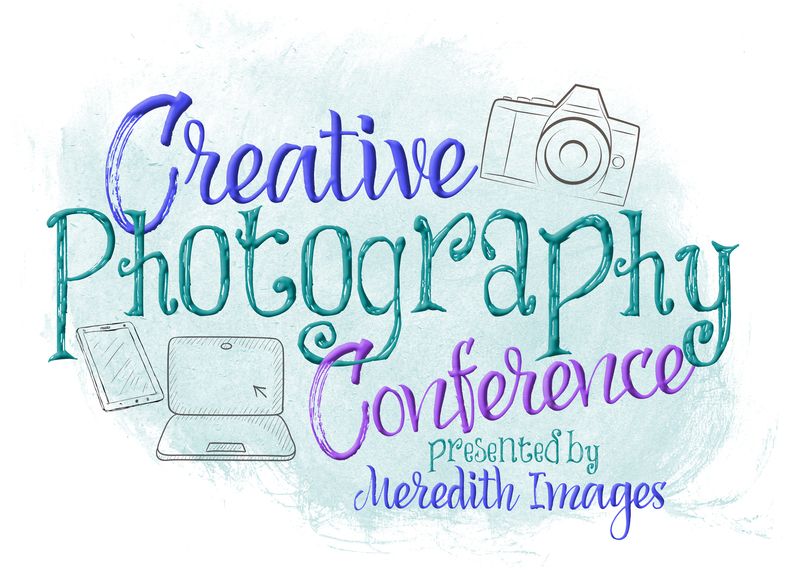 And speaking of the Creative Photography Conference…we have a few spots left! Don’t miss out on this creativity-filled weekend! Check out the details and info on our speakers and seminars over on our website at https://www.meredithimages.com/creative-photography-conference/. From Envato Tuts+ – “20 Cool Photoshop Effects to Add Style & Wow” – includes actions, presets, and cool techniques! Happy Sunday! Mother Nature is still playing games with us here in the Northeast! Had some snow on Friday (which then turned to rain). But it’s quite chilly for this time in April! This week’s Sunday Sampler has some pretty marble textures and a beautiful window with a nice design. These are from Our Lady of Victory in Lackawanna, NY. If you watched my last Topaz webinar, you know we had some technical difficulties. Yesterday I recorded a short video on the “Rooster Project” that I didn’t finish in the webinar. It shows you how to use two AI ReMix presets on one image. Check it out on my YouTube channel HERE. NEW ONLINE CLASS COMING SOON! I’m working on my first Skillshare class! It will be the first in a series titled “Photoshop: Creative Enhancements with Textures”. I will take you step-by-step in creating the project shown above and provide the images and textures needed to follow along with the “You are my Sunshine” project. You can check out the outline HERE. I love sharing cool resources that I find – there is SO much great info out there! Here are some freebies that you may like – enjoy! From Inspiration Feed – 4000+ Free PS Brushes! They have links to lots of great brush resources. As always, check the terms of usage on items (especially if you plan to use for commercial work). From Creative Pro – Oodles of Free PS Brushes! There is also good instructions at the beginning of this article on how to install brushes in PS. I’ll be showing you how to do composites and manipulate your textures in Topaz Studio, including how to apply two presets to different parts of an image! Come join us! This week’s Sunday Sampler was inspired by my hubby, Dave. He was editing an image from Tucson in Topaz Studio. I said, “hmmm…..that would be a cool texture”! So I applied the preset he created to one of my similar images, cropped smaller selections and applied a slight Gausian blur. Enjoy! This week’s featured speakers are husband and wife duo, Suz & Michael Karchmer from Cape Cod, MA. I met them several years ago when I first judged at their camera club, and we’ve become good friends since. They are awesome photographers and quite creative with their iPhones. Happy Sunday! Hopefully you have power and are reading our post today! This week’s Sunday Sampler consists of some cool images from one of our workshops to an old Chevy “parts yard” (another word for “junk yard”)! A little different than the rusty ones I’ve done in the past. Enjoy! Two upcoming events to tell you about — not really formal “workshops”, but interesting none-the-less! My hubby, Dave, is heading to Cass, WV, to the Cass Railroad over Memorial Day weekend. This is not an instructional workshop, but a gathering of some like-minded photogs! Join the fun. Leave on Thursday for Friday arrival at Cass Railroad. We’ll be staying in a “company house” on the property (5 bedrooms/2 bathrooms). We will check out on the 28th to head home. We will take a ride on the steam train to the top of Bald Knob as well as photograph other things in the area. Cameras (accessories, etc. ), tripods, rain gear, food (we will be able to cook at the house – not much in the area to eat out at). Tickets for train ride approx. $59 (2017 price). Cost for house will be split by number of people attending. There is no fee for the event itself – not a formal photography workshop, just a group heading to a great location! HOWEVER, IN ORDER TO SECURE A SPOT FOR THE ROOM, YOU WILL NEED TO PROVIDE A $150 DEPOSIT TO US BY EITHER CHECK OR CREDIT CARD. Email Dave@MeredithImages.com for further instructions. Contact him at Dave@MeredithImages.com if you are interested. He needs to have enough people by March 15th for the trip to run. And on Saturday, May 5th, the Connecticut Association of Photographers is having a dinner meeting/program featuring Ron Rosenstock, “Photography as a Spiritual Experience”. See flyer below for details. You do not need to be a CAP member to attend. Our Conference is filling nicely! Don’t miss out on this fabulous weekend of Creativity!! This week’s featured speaker is Gerri Jones. Gerri became interested in digital photography in 2000 as a creative outlet. She soon discovered that Buffalo/Niagara was a great area to photograph any subject throughout the year with seasonal interest. She enjoys photographing all subjects and the challenge of new ways to see through the creative use of Lensbaby lenses. This past year she has concentrated her work indoors due to a foot injury and discovered the joy of still life and food photography setting up a small studio indoors. She also enjoys using her photographs and Photoshop to create new works of art with the application of textures. Gerri’s images have been featured in several publications including, Nature’s Best Magazine, Erie Canal Statewide Photo Calendars, tourism guides, The Discover-Buffalo Niagara Calendars and several local commercial proposals. Her image of Thirty Mile Point Lighthouse on Lake Ontario, won a national grand prize for the Great Lakes Photo Contest and her work is used to promote the lighthouse through “Friends of Thirty Mile Point”. In addition, Gerri participates in several online photo contests and has won numerous awards including “Photographer of the Year”. Besides macro photography, she enjoys photographing local architecture, landscapes and occasionally small wedding venues. She also has reviewed several photography books for development by Focal Press Publications. Gerri has served as assistant organizer of the Buffalo Photography Meet-up Group to lead many members on photography tours as well as a member and presenter Niagara Frontier Regional Camera Clubs. From Line25.com – 25 Brilliant Sci-Fi/Space Photoshop Tutorials. Create some “out of this world” effects! Not a freebie, but a great deal! From Inky Deals – 330 Photoshop Brushes for $22! (This is an affiliate link.) They have tons of great deal bundles – check ’em out! Have you checked out Topaz Studio AI ReMix yet?? Wow! At first look the effects seem “over the top”, but as with any preset, you can adjust to your taste. Here’s a before and after I did this week. And it’s still on sale 20% off till March 10th!